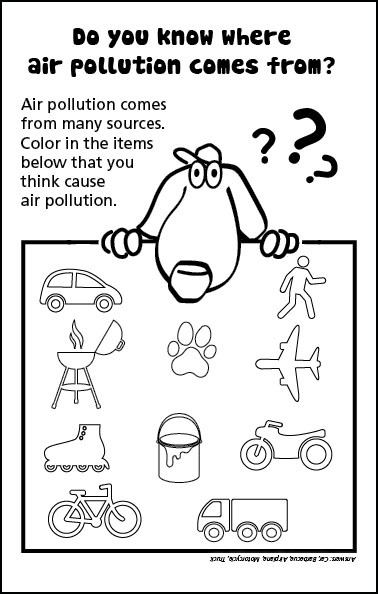 Learning about how we can Spare The Air we breathe is lots of fun! 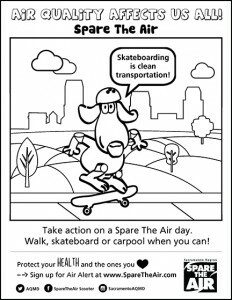 Check out the activities below to learn more about air pollution and what you can do to keep our air clean. 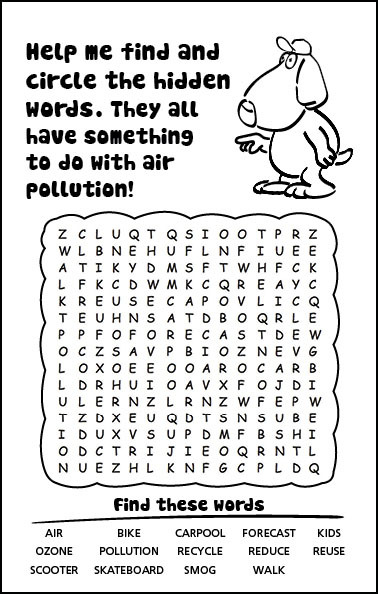 – Click and drag your mouse to find the hidden words. 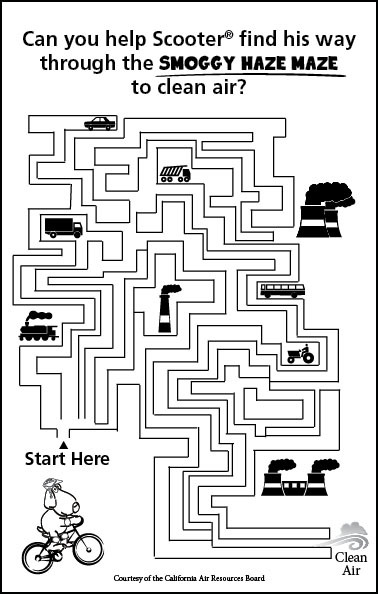 – Click on the coloring pages below to download and print. 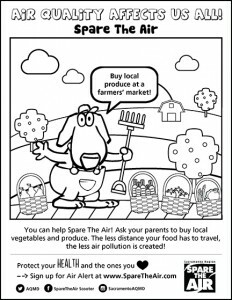 – Print the activity pages below to learn more about air pollution.